Smith College’s Macleish Field Station, the 5th certified Living Building in the world, is now listed in the New Buildings Institute Getting To Zero database. The environmental classroom, field station and meeting space, designed by C&H Architects in 2010, made its Net Zero certification in the first full year of operation, as part of the detailed reporting required for the Living Building Challenge. 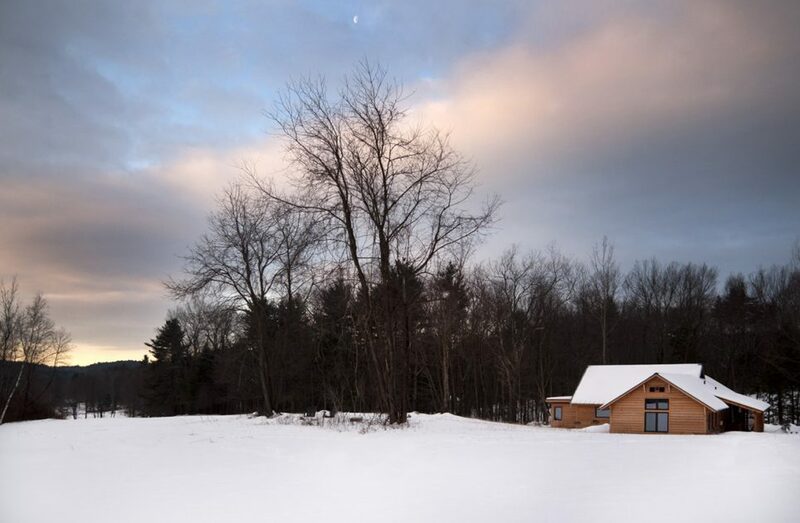 The Macleish Field Station is more than Net Zero, however. The Living Building Challenge, sponsored by ILFI, the International Living Future Institute, is the most comprehensive and rigorous green building standard we know. It requires compliance with a set of 20 imperatives, spanning seven performance areas including Energy, Materials, Health & Wellness, Water, Place, Beauty, and Equity. All consumption data is monitored, not just modeled, and verified by ILFI before certification is granted. There are to date fewer than a dozen buildings in the world which have achieved full Living Building certification.